Over the last couple of months Ms.Anne Mugisha has been asking friends on Facebook and other social media to support the democratic cause in Uganda by providing used and new electronic voice and image recording equipment to record events during campaigns leading up to Uganda’s 2011 elections. The response has been encouraging but mostly in pledges rather than in actual equipment. Opposition campaigners will be most grateful to receive these simple items that can make a huge difference in protecting the rights of those who may be victims of abuse during violent campaign times in Uganda. The IPC activists intend to use this equipment /new technologies and social networking networks like Twitter, YouTube and Face book to convey voices and images from the grassroots that would never be covered by the mainstream media. This will most especially be beneficial to Ugandans abroad who wish to know what exactly transpires in the elections back home. IPC needs all the material and financial support they can get to implement a successful communication program in a hostile political environment. They cannot achieve their goals without your donations. Every little bit helps and therefore we are asking you to support the IPC cause by contributing towards the purchase of the following equipment or donating them yourselves to Anne Mugisha: camera cell phones, laptop computers, camcorders, digital audio recorders and digital cameras. Please write a USD check to: ANNE MUGISHA BWOMEZI. I will provide you with her address once you are ready to send the cheque or the items. Alternatively, you can directly email Anne Mugisha at: anne@fdcuganda.org if you need further clarification. Let me assure you all that FDC will surely cut taxes and fight corruption.Give tax holidays to companies that create a certain agreed number of jobs. Pay higher wages to the lower ranks in public service. Bring more people under the tax brackets by using low taxes and better social services. Yes, It is all thought out.It is not cheap politics.It is real. We shall make a contract with the people of Uganda and give them a timeframe for every thing promised.We have analysed the budget for a number of years.We know how much is stolen by NRM leaders annually. It is now about $1billion. Just plugging the theft holes will leave a lot of money in the public coffers for services and development. NRM LEADERS CAN NEVER STOP STEALLING THIS MONEY.NEVER, BECAUSE THEN THE REGIME WILL COLLAPSE. IT IS BUILT ON CORRUPTION. Low taxes and increased wages will mean more savings and more investiments, more consumption and more production, therefore more jobs and more stability . Many Ugandans seem to be stuck in the moribund Musevenomics of formalised corruption, silly economic experiments, handouts and patronage benefiting mainly those to keep their regime alive, the so-called middle class who do not produce but steal and accumulate primitively. Please know that ours will be an economy centred on the ordinary person, putting more money in his pocket, improving his welfare, giving him production skills, creating jobs for his children, improving on his food quality and health, availaing him farm inputs, seeds and tools, guaranteeing market and stable prices for his produce thru setting up strateguc food stores to stock when they is a glunt and sell when there is a shortage. It is not an obssesion. It is economics.We shall definitely cut taxes on basic necessities for ordinary people, on salt, soap sugar, paraffin, matches, hoes textiles,(even on beer so that cheap fake waragi does not kill so many).Yes, compared to their incomes, ordinary Ugandans are surley inderectly overtaxed thru these items plus on transport due to high taxes (almost shs 1,000 per litre of petrol for example). WE shall also focus more on local investors.They will enjoy incetives, easy access to cheap long term loans and generous tax breaks on jobs created. It is Ugandans who will develop Uganda not those fake investors of Museveni. He prefers them because he fears RICH Ugandans as they could oppose him more effectively. Taxes come from production and consumption of goods and services.That is the key. Have a beer of Shs 1,000 and sell a billion bottles and collect shs 200b taxes at shs 200 instead of at shs 2,500 and sell 300,000 bottles collecting 150billion at shs500 taxes. Are the ‘Westerners’ dominating the public service jobs under M7? 1/5 Yesterday i was referred to the question of 35% of the jobs “going to the west” as being one of the serious debates that I have avoided because my business is unserious debates. In fact, I did not participate in that debate at all particularly because I found it idle and inattentive to critical detail. 2/5 First, that debate was premised on the logical fallacy of false categories. There are two categories here that many of you chose to conflate: “the West” and “Westerners”. You are mixing the ethnicity with geography just as if the two completely are interchangeable. To highlight the lack of confluence between ethnicity and geography, while the population of central region is about 27% of the national population, Baganda are only about 16%, yet many of us insist on conflating “Central” with Baganda”. Infact, Baganda constitute only about 54.9% of the population of Buganda. A large majority of the remainder are actually westerners. Arguably, if all the westerners in all regions were put together, they would come close to the Mbaguta figure. 3/5 Unfortunately for that “serious” debate of yours, while the 35% jobs you were referring to as having “gone to the west” are actually jobs occupied by people who are ethnically “Westerners” (i.e., Banyankore/Bakiga/Banyarwanda/Batoro/Bakonzo/Bamba/Basongora/Bagungu/Banyoro/Bachope), not all those people come from the west. 4/5 You may know that over and above the home counties peopled largely by the Baganda, Buganda also includes territories that are inhabited by non-Baganda such as the “Westerners”. For example, the districts of Lyantonde, Rakai and Sembabule are inhabited largely by Banyankore and anything up to 40% of Masaka are Banyarwanda. However, when it comes to classifying individuals from Buganda we deploy the ethnic lens. Accordingly, a job occupied by a General Tinyefuza who hails from from central region will be classified as “gone to the West”. So will a job occupied by Sam Kutesa. Jobs occupied by many Banyarwanda in Masaka and Buwekula are not looked at as being jobs for Central region, but as “jobs gone to the West”, so are the jobs occupied by Banyoro whose home is Buwekula. Buganda has MPs like Claver Mutuluza who is a Munyarwanda but when his job is classified, it “goes to the west”. I am sure that a certain Muhororo cabinet minister/MP of Nakawa, who happens to be ethnically a “Westerner” has his job classified as one for the West. That is wrong. 5/5 So, the computation of proportions of job holders is based on a false denominator, that of the population of regions, while the numerator is ethnicity. If I had raised that basic issue of arithmetic, you would have simply dismissed me as a “musiru kale” who cannot integrate and differentiate, and do calculus. The irony though is that, when you move out of engineering and go to medicine, “calculus” means a hardened concretion like what can be found in the gut following chronic constipation. Deriving a quotient from a numerator that is unconnected to a denominator is intellectual constipation, hence your 35% tribal calculus. Note:The list, submitted by public service minister, Prisca Seezi Mbaguta, showed that of the 751 senior posts, the western region has 260, central 187, eastern 183 and northern 121. But the list left out the top officers in security agencies. The last New Vision opinion poll was sham and empty. How come it never gave any more details? 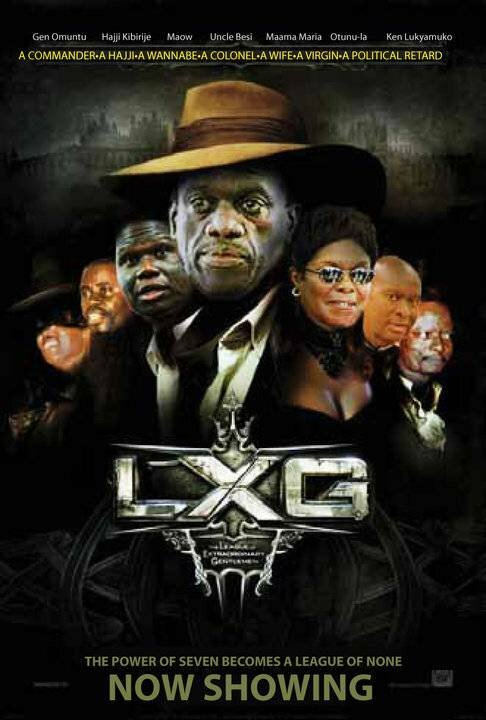 Why was Museveni missing? Why was Mao assessed as IPC when his Party has not yet joined the alliance? What was the motive or goal of that poll? Let me also take this opportunity to say something about FDC putting up a candidate against Betty Nambooze.FDC is a legal institution, a body corporate in the business of politics. It is in there for gains, to maximize its profits and grow through talking and making political deals. Many senior FDC leaders including myself have a soft spot for Betty because we believe she is good political leader. At the same time we are governed by the Party policy decisions. So far, neither DP nor Betty has seen it as necessary to talk to FDC. To negotiate. Sometime back DP’s Dr Lulume now MP for Buikwe north did come and talk to us. We negotiated and agreed to withdraw our candidate.The Party then asked Dr. KB to go and campaign for Lulume.He did and we won. I do not think that DP is hostile to FDC. Perhaps they are a bit scared of it. They think it swallow them or take their support. I wonder why it should be that easy if they too are organizing and spreading their wings. Why can’t they take also FDC support?In Buganda which is the stronghold of DP,(I do not see it anywhere else so far) the Party has got many strong leaders but less support while FDC has more support in the region but less strong leaders. So DP will definitely benefit more from IPC which will mobilize support for their candidates. FDC does not wish DP any death.FDC is not “skimming” (scheming?) to take any advantage of DP conflicts.Why should it? On the contrary FDC wants to see DP as a strong partner in the struggle to liberate the country from the clawns of a cabal of looters. Our bit of worry is from the looks of things, DP is spending more energy consuming itself up and may not be ready for the battles with the looters as we move to 2011. IPC is an organization that was negotiated by four Parties for two years and signed off at two public meetings. It is not a gentlemen’s club.Signing in public was to ensure public commitment and seriousness. It is strange that DP expects member Parties to abandon the signed protocol guidelines which include how new members can apply and join but instead engage in negotiations with it. That might be a bit dificult .It will be easier for DP to be admitted first and then ask for amendments as a member. A non-member can not ask for reforms of an organization they do not belong to. It is that simple. Political Parties are formed to compete,win power and govern states. That is their strategic goal. Sometimes they might suceed alone, sometimes they need to make alliances to achieve what they want. They do not form alliances because they are weak but beacuse the voters have a different formula. In the past DP has engaged in secret unprincipled alliances that were not even signed off thanks to the calibre of their leaders then.This has however,continued to haunt the Party. IPC is a totally different ball game. If FDC took the Big Brother attitude you are pushing for DP and UPC, there would be no IPC. Yes, the member Parties differ in strengths but they are all valuable in their own ways.One by one makes a bundle. Votes or a seat from one constituency can make a real difference to the national total . Have you ever asked yourself why DP has failed to win power for a good 50 years? We are aware that some of the people who voted for Dr KB were not necessarily FDC.But they did it for various reasons. Can they vote for him again? Yes. Why ? Because he is still the best weapon they have so far. And remember by 2006 FDC was only one year old ,hardly known throughout the country . The situation is totally different.We have sold the Party countrywide and greatly improved on our fortunes . There is no doubt that FDC will get much more votes, MPs and District leaders than they did in 2006. At Najja we have solid info that there are sections of Opposition in various Parties who are talking,listening and falling prey to Museveni tricks and promises of forming a government of National unity with them.Museveni’s aim is to destroy IPC. That is why it is not surprising to us to see that IPC is attacked more by sections of the opposition than by NRM . 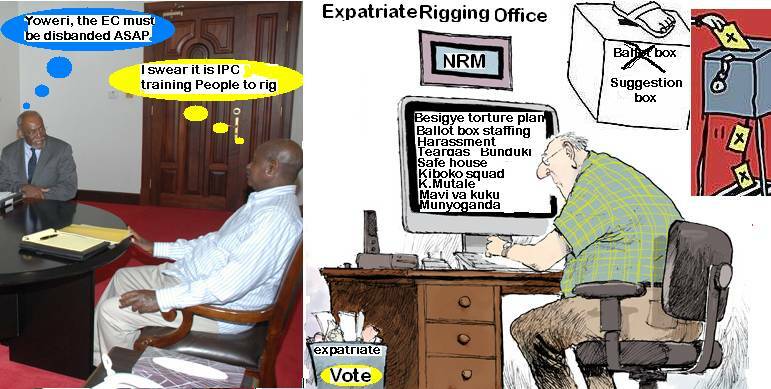 Indeed it seems to them IPC is now the “enemy” not NRM. Usual elite Opportunism. That remains my official stand, by going into this election you make Museveni a very democratic man.This election is not about creating a difference in Uganda but to confirm the crumbs falling off the table of Museveni to the opposition. If the entire opposition today declares that this election is going to be useless so we are out of it, they lose the parliamentary seats and they lose the direct and indirect incomes from Uganda Government. How will Wafula Ogutu survive without the branch of FDC? How will Dr Kiiza Besigye survive without the branch of Uganda government? And these are real straight questions. I have spent many man-hours in UAH telling you that we need to find out the source of income of our politicians before we elect them, and you laughed at me calling me a man that is discriminating all BodaBoda operators from the presidency. And today you are stuck in the very scenario I have been preaching to you on a daily basis. Uganda has failed to have an effective opposition for it is employed by Uganda government. Dr Kiiza Besigye’s wife has a job thanks to Museveni. Norbert Mao’s wife has a job thanks to YoweriMuseveni. Buganda has a Kingdom thanks to Yoweri Museveni. Now Toro has a King thanks to Yoweri Museveni. Museveni delivers each and every thing from the air Besigye breathes into his nose to the air Wafulla Ogutu breathes out of his nose. Uganda opposition needs Museveni more than he needs it, and these days he even got the Olara Otunu caviar that moved from New York to go and join the growing democracy in Uganda which allows him to campaign freely. You allowed your selves to be encircled by this man from your selves kneeling before him for you have seen the face of Ssabassajja to Wafula Ogutu that eats from FDC. And this circus is going to be culminated by the coming election which will reinstate the Movement to power, then you will have four loose cannons running around Kampala pubs. Dr Kiiza Besigye a leader of the then losing FDC and Olara Otunu the leader of the then losing UPC with Ssabassajja Mutebi a looser of Federalism and Norbert Mao that will lose as well in DP. Now realize one important thing, that as these politicians eat the crumbs from Museveni’s table, no one of them will be stepping to parliament for they will all not be elected as MPs. So who is Magulunyondo in Uganda, is it Ssabassajja Mutebi or Yoweri Kaguta T. Museveni? Removing a government of Museveni out of power must be multifaceted, the opposition does the home part, Ugandans in Diaspora in forums as UAH do their part, but let you never ignore the influence of the foreign support of the Movement. And my fear in Ssemuwemba’s notice is that he is failing to recognize the importance of foreign governments in building Museveni. If the opposition refuses to stand today, Museveni will yes win that election but he will be singled out as a straight dictator. And that can do a much larger damage to this government than Dr Kiiza Besigye crying tears with a white hand kerchief all day all night on Television screens. Let us remember that last election was justified as a democratic election for a very single reason, Besigye was arrested released and allowed to compete. But even if look at past elections, if FDC has been complaining about vote rigging, after the election, why do you even join the one you already know it will be rigged? Does that add up to you? It all comes from one problem. Ugandans demand for change but they don’t invest into that change, they cannot understand that one plus one always must equal to two. When I call for an evaluation of politicians income they do not want that till when the Wafulla Oguttus become suckers of money from the system and sit comfortably. It is that investment to the future why I took the stand on appointing Olara Oluru from a Nairobi hotel, for we know it is going to fire back at a later time. But Ugandans failed to realize my stand and turned it into EM supports MP Jimmy Akena than Olara Otunu. I challenge any one to post where I stated that I support or want MP Jimmy Akena to stand and lead the party. I have stood against the system UPC used in Uganda and we all must stand and condemn it, that it was wrong no matter who was chosen. UPC does not choose its leaders from a Nairobi hotel but in a delegates conference created right from the parish level. And Olara Otunu did not use it. We are moving one step forward but when we elect Olara Otunu from a Nairobi hotel it moves us five steps backwards. JIMMY AKENA’S BICYCLES FINALLY LAUNCHED!! Our president, has said “Mbu” we should not make lies in this country. “Mbu” it is tantamount to a criminal offence, and a sin too. “In other words, stating publicly that a python has no legs could land you in jail, for it has some hidden internally. Jimmy’s offence was bigger. He shamelessly walked into the town of Lira, told the unsuspecting people there that, his had superseded Monsieur Sivrac’s first bicycle invention, and that the days of manual peddling were over. Naturally, the Langies got exited. He told them that he was going to need lots of litters of crude waragi, therefore encouraged them to invest into making it available. Mr Mulindwa, I have credible evidence that 73% of house holds in Lira hanged up their hoes, and resorted to brewing Waragi. Men, women and children alike. The granaries dried up, shambas become bushes, and when the third generation of bicycles (Akenic”) never came, they decided to gallop the waragi down their throats them selves. Instead of the Waragi fuelling wheels, it took over from the medulla oblongata. But you see, we already had a serious problem in Lira. These people are accomplished producers of the super crude Gin, “Lira-Lira”, and they consume it as if their lives super depend on it. And not only did James accelerate an already worse situation, he indirectly ensured that it remained worse to the power of two. All for what?….votes!! NOW THE MAN IS READY, DP JOIN IPC NOW!! Can IPC do to President Museveni/NRM what NARC did to KANU in Kenya? Some folks are beaming with happiness that with the election of Dr Kizza Besigye, IPC could take shape. Pole. Some are hoping that all opposition parties will come together under IPC and help the opposition to do to YKM/NRMO what NARC under Mr. Mwai Kibaki did to KANU. Again, pole. But is that the case? What are the facts? NARC came together after well thought meetings between Mr. Kibaki (DP), the late VP Mr. Wamalwa Kijana (FORD Kenya) and Mrs. Charity Ngilu (SDP). These were the originators of NARC or events that led to NARC. Mr Kibaki had the backing of the GEMA community solidly behind him. UAH folks should ear in mind that by the time NARC was forming, Mr. Raila Odinga had taken his party to join KANU in return for two ministerial positions, Him as energy minister and Dr Adhu Awitti as Planning Minister. The three amigos in NARC continued to toil in search for opposition unity. It is true that only after Mr. Moi has shown his choice and marshaled the Rift valley delegates along with GEMA delegates to vote for Mr. Uhuru Kenyatta did Mr. Odinga, Mr. Musyoka, professor Saitoti and others realize that KANU had its ‘owners’ and to his credit Mr. Moi told them to their face. They left KANU and went to join the three amigos, who welcomed them under the NARC banner. NARC’s Mwai Kibaki from Nyeri beat KANU’s Uhuru Kenyatta from Kiambu. Moi wanted to split the Kikuyu vote but failed. Now compare the situation in IPC. Who are the contenders? Dr Kizza Besigye, a Muhororo from Rukingiri. Dr Olara Otunnu an Acholi from Kitgum and Mr Mao (not keen on this IPC fallacy), Mr. Ken Lukyamuzi a Muganda from Masaka /Lubaga. They want to defeat Mr. Yoweri Kaguta Museveni a Muhiima from Nyabushozi. Please spare me your nonsense that ethnicity is not issue or does not matter. The immediate question IPC promoters should ask is this: do the contenders above have their ethnicity votes lined up fully behind them? Furthermore, are all the contenders in total command of their respective parties the way Mr Kibaki, the late Wamalwa Kijana and Mrs. Ngilu were in Kenya? I should point out an obvious anomaly in Uganda and it may actually be the first in African politics that Dr Kizza Besigye is seeking the presidency without have his ethnic community fully behind him! Were he to win, he would certainly go down in history not just in Uganda but the entire African continent for defying the odds of not being the favourite son at home and still win it all. I suppose Ugandans are politically mature and do not care about ethnicity. The second question is related to the one above. What were the voting blocks behind the 3 amigos in Kenya? Mr. Kibaki had the GEMA vote (Kikuyus are the largest single voting block, while the Meru are quite large). The late Wamalwa Kijana had fanatic supporters among the Bukusu (they split between PNU and ODM in 2007), while Ms Ngilu was loved by the Akamba for daring the presidency and giving them hope and pride to believe. What is the situation in Uganda today? I do not mean to minimize the other ethnicities but these regions will decide the election: Buganda, Ankole, Kigezi, Busoga, Lango, Teso and Bugisu. Folks, you do the maths. In Kenya these would be the equivalent of Kikuyu (GEMA), Luhya (though they tend to fragment), Luos, Kalenjins, Kamba, and Kisii. For starters, with the exception of the Kalenjin and Kiambu Kikuyu, the rest were fully behind NARC hence the 60 plus for NARC to Uhuru Kenyatta’s 32%. What is the moral of this story? Proponents of IPC should be honest and admit the obvious, which is the potential IPC contenders have no FANTICAL base. Actually some have no substantial support at home! Which reminds me of Mr. Al Gore, had he won his home state of Tennessee, Florida would not have mattered, he would have become President. The terrain in Uganda today could not be different from what Kenya was in 2002. What IPC folks forget is that Mr. Moi was retiring and Kenyans were fed up with his selfishness. He is the most selfish leader who destroyed the infrastructure and the economy so that Kenyans would beg him or his cronies for money. That is how he used to win, supply unga here mchuzi there. Mr. Uhuru Kenyatta had no chance although he managed about 32 percent against combined near unity of Kenya’s amigos. All indications are that YKM will be on the ballot in 2011, but even senior Ugandan journalists keep writing as if conditions in Uganda are similar to what they were in Kenya. It is the same journalist who keep saying that President Kibaki rigged without bothering to know how he came from behind to win, albeit narrowly. He won because the last 25 constituencies to report were mostly in his stronghold of central, Nakuru and importantly Meru where he enjoyed the most fanatical support. So let be honest, the conditions in Kenya in 2002 are different from the conditions we have in Uganda today. KANU (BTW it is still the largest party in Kenya) may have been the ruling party but it faced a united opposition with a credible and acceptable candidate to important stakeholders. Importantly, for the deluded folks pushing IPC, the opposition leaders who came together in NARC, the original three plus the late defectors in Mr Oginga, Mr Musyoka, and Prof Saitoti had their parties fully united behind them and above all their fanatical ethnic voters. Again you do the analysis about the contenders in Uganda. So my dear friends in UAH who are pushing IPC, it is fallacy. Actually comparing NARC to IPC is not proper by any stretch. Why? Because the opposition in Kenya at the time was totally different from the opposition in Uganda. They had Mr. Mwai Kibaki whom the Kalenjin elite knew and could do business with. It was the same elite who worked tooth and nail, although this time without the support of the peasants in Rift valley who mostly voted ODM, (not anymore) to keep Mr. Raila Odinga out of power. But who does the opposition have in Uganda? How could Dr Besigye who married into one of the most famous and respected families in Ankole fail to gain the trust of the Ankole elite? What happened? On the basis of fundamental differences between the opposition in Kenya combined with a vacancy in the presidency and what we have in Uganda opposition leaders who DO NOT command the support of not just their ethnicity votes but have not excited the key voting blocks, and running against a hardened incumbent IPC cannot and will not be solution. It is time for the opposition to go back to the drawing board. I will leave it to those pushing the IPC fallacy to decide how. Of course, it is not over yet, but the opposition in Uganda will have to think smart and strategically than has been the case so far. There is completely no strategy. Hakuna kabisa. They may want to look beyond the current contenders for a messiah. There is one or two such Ugandans right there in Uganda. Yes, it is the candidates who are the real problems for the opposition. I was astonished to read that “UAH’s Dr Vincent Magombe says he ran away to exile from Uganda in 1980 after an Amin soldier had pointed a gun at him” as quoted by our resourceful Corporal Otto. I stand to be corrected but I think this is the same Magombe who was Deputy Head Prefect at St Mary’s College Kisubi in 1977. I think it is the same Magombe whose father was a powerful Uganda People’s Congress Member of Parliament from Mbale, right from 1980 until 1985, when the UPC’s military wing (UNLA) overthrew Dr. Obote’s government. I think this is the same Magombe who was one of the moving forces behind a play they named THE RISE & FALL OF IDI AMIN, which featured several times, if not exclusively, at former Norman Cinema. They acquired it in 1979 and there could be no question of Amin’s soldiers chasing Dr. Magombe away, except if he was in their guerilla camps in the Sudan. During Obote II, this CENTRE was also a base for covert intelligence-gathering missions and it is suspected that part of it was a dungeon, where suspected ‘anti-government’ elements were ‘processed’. It is allegedly from THE CENTRE that covert UPC operations at Makerere University were conducted by, among others, Peter Wangima and Kasajja Byakika Jr, who were both at campus then and whom Magombe must remember very well. The Centre? The Centre, which is now Kampala Pentecostal Church had Mr. Francis Odida as part of management and he and Magombe must remember those days very well. Odida has retired from politics into philantrophy, but he was the proprietor of UGANDA REVIEW publications, which died shortly after Museveni came to power. the world a bit more about what Uganda was when his Uganda People’s Congres was in power. On Wednesday April 07, 2010, to mark the 16th commemoration of the genocide of 1994, in a long tirade against the opposition leaders in general, and against the Chairperson and candidate of UDF-Inkingi to the presidential elections of August 2010, Mrs. Victoire Ingabire Umuhoza in particular, President Paul Kagame treated the opponents as “political hooligans”, “people who came out from nowhere…the useless people”, presenting them elsewhere as “people that the West would prefer to see at the head of Rwanda” on which the West would like to “impose values”, in reference to multiparty democracy, a system that took Westerners “hundreds…thousands of years” to implement in their countries. 1. This vindictive and disrespectful language, worthy of Patrick Hooligan, indeed took the place of the words of comfort which hundreds of thousands of genocide survivors were waiting for from a person who is also the Head of State, on this day of sadness. It took the place of reflection, deep thoughts that the country, the region and the world were expecting from the Chief of a State that experienced the worst of the tragedies. It revealed how President Paul Kagame still belongs to an era that Rwanda needs to overcome, without forgetting, in order to build a secure future for all its children. 2. If in sports, a hooligan is a follower of a discipline, usually football, who uses violence to influence the outcome of fate of a match, then a political hooligan, is a follower of a party who uses violence to weigh on the outcome of a political confrontation. In the political confrontation looming on the horizon, namely the presidential elections scheduled for August 2010, leaders of the opposition in general, and those of UDF-Inkingi in particular, use only peaceful and legal political means. At no time, they have resorted to violent means. 3. In this regard, the leaders of the Rwandan Patriotic Front (RPF) in general and its President Paul Kagame in particular, are repeat offenders. Since 1990, they routinely use violent means to solve political issues, both at home and foreign policies. 4. In 1990, to address the issue of Tutsi refugees which was under discussions between the Government of Rwanda and the Government of Uganda, RPF took up arms against the Government of Rwanda. In doing so, they committed serious crimes against the internal security of the State, in violation of the Penal Code (Article 164 et seq. ), provisions they now use to try to convict to life prison the Chairperson of UDF-Inkingi by forging evidence tending to associate her with existing armed groups (FDLR-Democratic Forces for the Liberation of Rwanda), and imaginary armed groups (CDF- Coalition of Democratic Forces). 5. In April 1994, to influence the provisions of the Arusha Peace Agreement, the RPF shot down the plane carrying the Head of State in office, Juvenal Habyarimana. They killed at the same time the Burundian Head of State, Cyprien Ntaryamira, who was also on board, and all their staff and crew members. This attack which was committed in time of peace since the Arusha Peace Agreement, signed by both parties involved, including the RPF, had ended the armed conflict is considered by all objective observers as the trigger for the genocide. By shooting down the presidential plane, the RPF also interfered with the person of the Head of a foreign State, causing an institutional crisis in Burundi. 6. In April 1995, to address the issue of internally displaced people in Kibeho (south-western Rwanda), the RPF sent its army, surrounded and pounded by heavy weapons camps for the internally displaced people, killing in one day at least 8,000 Rwandans mainly of Hutu descent whose evocation of the suffering and the memory led to accusations of genocide denial against the Chairperson of UDF-Inkingi. 7. In 1996-1997, to address the issue of Rwandan refugees massed in eastern Democratic Republic of the Congo (DRC) (former Zaire), the RPF army surrounded and bombed with heavy weapons refugee camps, forcing some survivors to return home and others in a frenzied flight throughout the Congolese forests where at least 300,000 of them perished. In 1996 and 1998, to settle political differences with the late Colonel Theoneste Lizinde, former MP and the late Seth Sendashonga, former RPF Minister of Interior, the RPF sent death squads to assassinate them in Nairobi (Kenya), without hesitating to cover up some of the murderers, by brandishing their immune status as diplomats. Therefore, if there are political hooligans, it is not within UDF-Inkingi that one needs to find them. It is within the RPF-Inkotanyi’s leadership that one must look and get them. 8. With regard to the link that President Paul Kagame is trying to establish between the Chairperson of UDF-Inkingi, Mrs. Victoire Ingabire Umuhoza, and people who were convicted for genocide, such as Joseph Ntawangundi, as the novelist from Benin, Florent Couao-Zotti asserts: “If the court of the block is dirty, it is not up to the pig to say it”. First, the RPF government was unable to produce the record of the conviction in absentia supposedly pronounced in 2007 against Joseph Ntawangundi. However, one knows how his confession which supported his condemnation of March 24, 2010 has been obtained, if one sticks to the testimony of General Kayumba Nyamwasa, former head of Rwandan intelligence, who recently escaped such manipulations. Finally, the RPF and its President Paul Kagame whose countless MPs are in prison for genocide and whose at least forty of the most senior officials are wanted under international warrants for crimes against humanity, are absolutely not appropriate to give lessons to anyone in this matter. 9. As for the accusation that the West is attempting to impose the Chairperson of UDF-Inkingi as the head of Rwanda, it is very surprising to hear such a statement from the lips of President Paul Kagame. Hurried back home to Uganda from a military training that he had barely begun at War College of Fort Leavenworth (Kansas, USA) as a Ugandan officer, to head the RPF militia in a country (Rwanda) that he did not know and which country did not know him either, because he had left it thirty years earlier, and despite the fact that he has successfully passed a few years of high school, President Paul Kagame is certainly not the most appropriate person to talk about leaders “from nowhere” serving foreign interests. 10. What should we deduce from President Paul Kagame’s support for the Bush administration during the invasion of Iraq in 2003, despite the fact that the invasion had been condemned by the African Union and the United Nations? What about the proxy war in which President Paul Kagame led the country to overthrow the legitimate government of the DRC in August 1998 which led to the creation of the FDLR, which later became the perfect excuse for other armed attacks, aimed at Balkanizing this neighbouring State, failing to impose on it another government? 11. For UDF-Inkingi, to pretend that Rwandans are not mature enough for democracy and that they should expect “hundreds… thousands of years” is indeed an expression of contempt, the most abject one can utter toward any people. In Europe, undemocratic regimes claimed that Western people were not ready to exercise their rights and used to grant the right to vote to only the wealthy or educated. When it was no longer possible to deny anyone that right, they argued that women were not yet ready. 12. In Africa, during the Cold War, all the undemocratic regimes relied on this argument. In South Africa, the apartheid regime used the same argument, deeming blacks unfit to exercise their political rights. Today, it is outdated. It is the RPF that is not ready for democracy and not the Rwandan people. The RPF may take all time needed to prepare itself, but it cannot ask the people of Rwanda to wait for it even though it is trumpeting a champion of gender equity, citizen participation, good governance and economic development. The claim that democracy is a “foreign” value in Rwanda in order to have a free hand to perpetuate dictatorship and thus continue to appropriate itself the country’s wealth shows clearly that this is only rhetoric. The time has come for politics to change the logic; politics must move from the logic of power, which aims at getting as much power as possible and keep it as long as possible by means of violence and deception, to that of responsibility whose basic principles are to carry out multiple responsibilities in a limited time and a limited area, because one cannot be competent in everything. The Rwandan people, like any other people in the world, are perfectly capable of choosing their own leaders. They are perfectly capable of choosing economic policies that suit them by voting for one program. Sixteen years later, using genocide as a pretext to continue to postpone the moment when Rwandans may exercise their political rights is no longer an option. It is time that the RPF and President Paul Kagame understand this fact and comply.